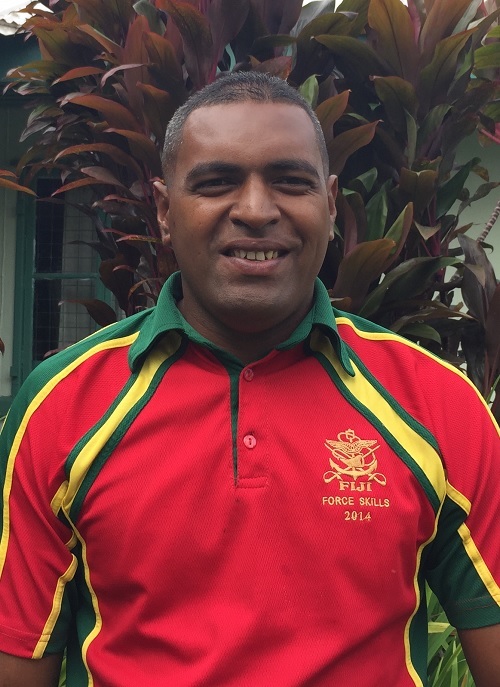 Ledua has been with the Oceania Centre for Arts, Culture and Pacific Studies since 2000. He began sketching at 10 years of age, and believed an artist was limited to one medium. 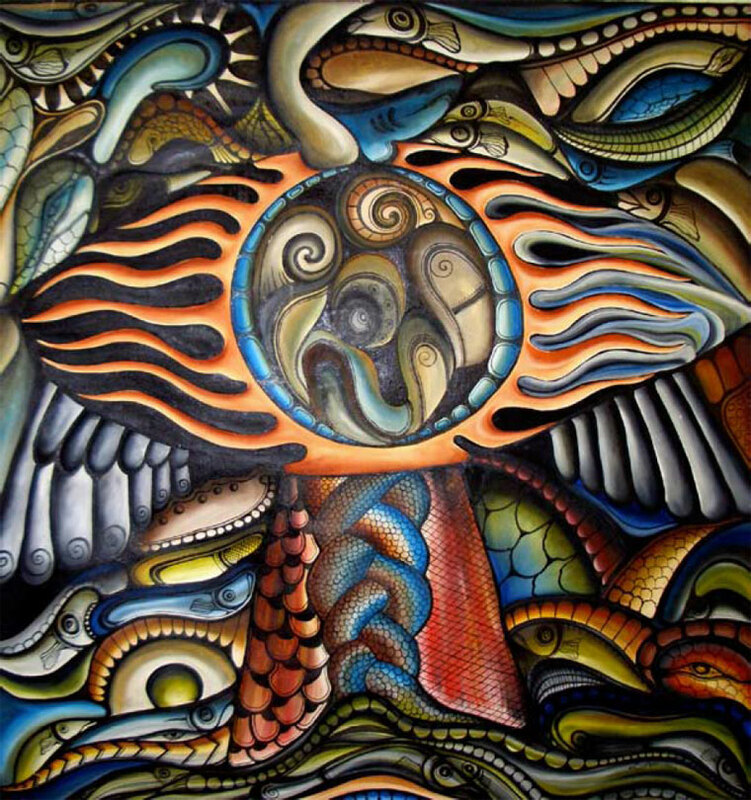 As a teen Ledua participated in a workshop at USP’s Oceania Centre which focused on painting. Here he realised his dream of being an artist. Ledua’s works tend to have a strong focus on marine life and Fijian culture, both significant in Pacific life. His heritage and culture as a Pacific Islander pass through the brush, expressing his story in a unique style. 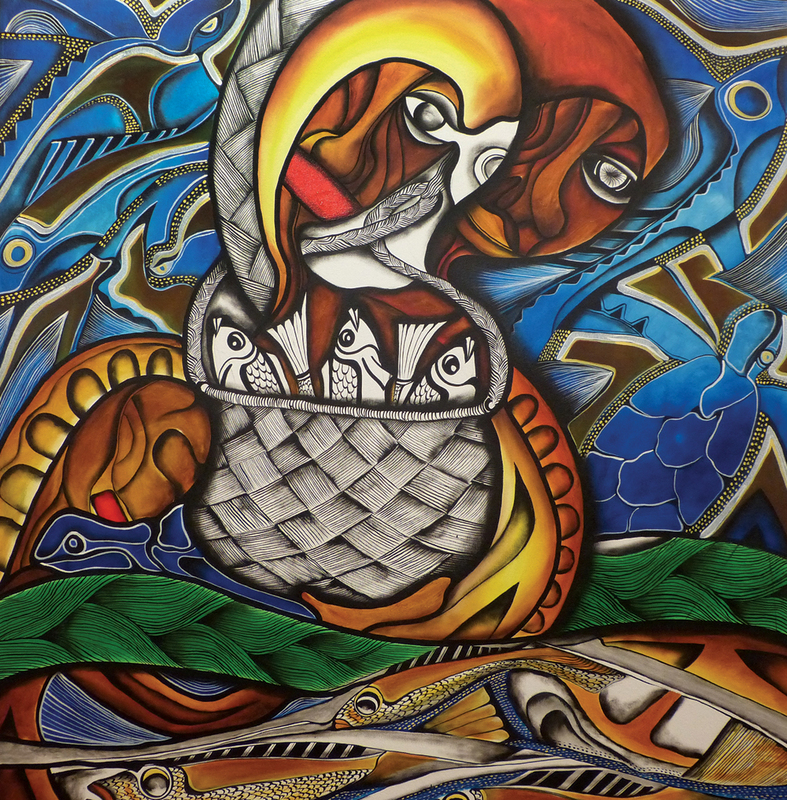 Many of his pieces are based on Fijian stories and legends, passed from generation to generation. His aim is to preserve these for the coming generations, providing a contemporary perspective on what might be a familiar tale. Ledua’s motto is “to create something out of nothing”, and to allow the art to communicate the meaning of the story. His works commonly have natural yet bright colours, curved lines and a combination of both humans and animals. 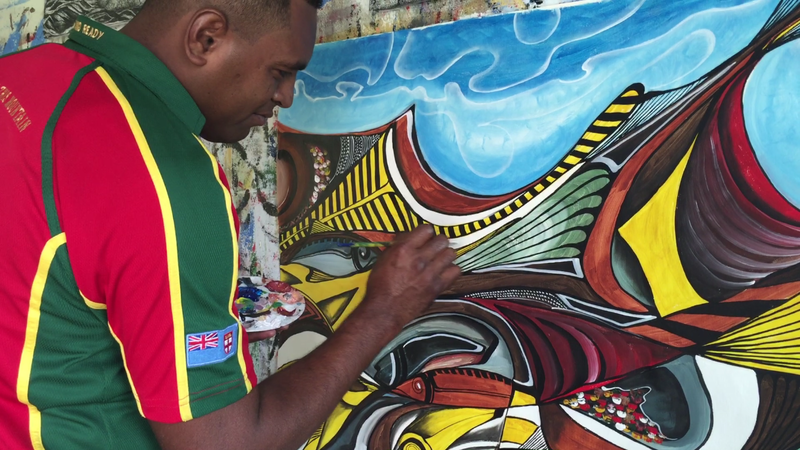 Ledua is most proud of the fact he has been able to travel the world as an artist, having exhibited his works in the October Gallery in London, National Art Gallery in Australia, as well as in New Zealand, New Caledonia and China.